Inside: Carving is out and no carve pumpkin decorating is in! 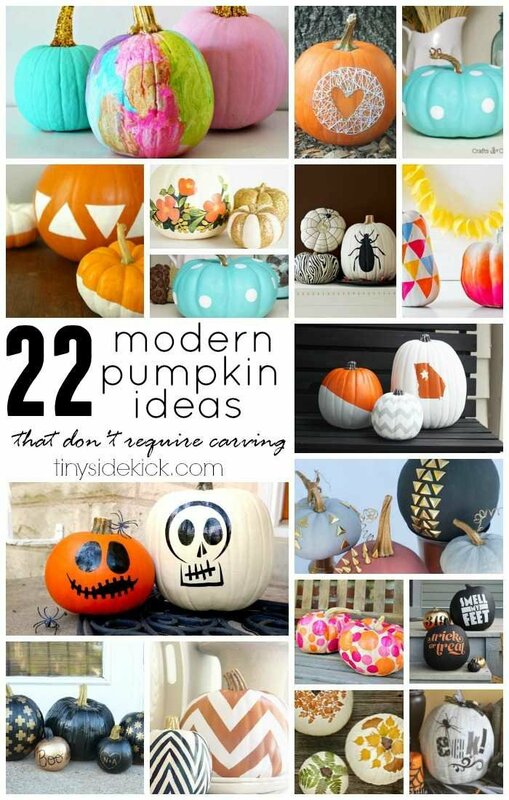 Here are 22 modern no carve pumpkin ideas to get you started! Carving pumpkins is one of those things I do because I have kids. They are little so the reality is that they’re into it for about 10 minutes and then they’re off playing with their cousins while I scoop the guts from the insides of at least 3 pumpkins and I’m left with pumpkin guts under my fingernails. Not.Cool. Then we bring them home, enjoy them lit on the night of Halloween and within a few days (cause it is still so dang hot here) I find myself cleaning up melted and moldy pumpkin from my front porch! There has got to be a better solution to this madness! I already promised pumpkin carving this year but next year I’m putting my foot down! That’s right folks. We are going to become a no carve pumpkin family! 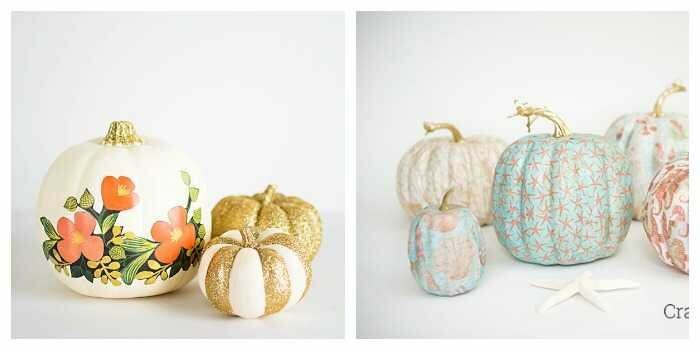 There are so many modern pumpkin ideas that don’t require any carving what-so-ever. And no carving means they will last longer and I won’t spend the evening covered in pumpkin guts. Nope. 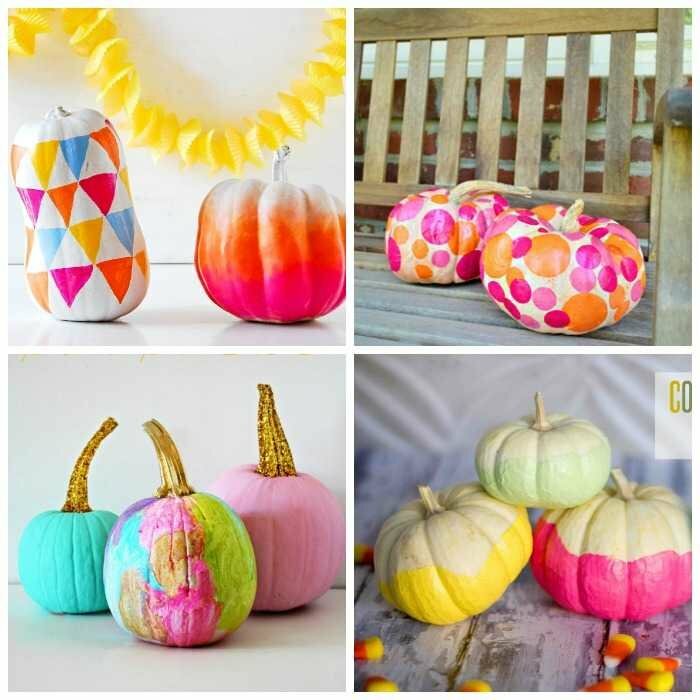 So I gathered up some awesome no carve pumpkin ideas. Hopefully this will be enough to convince my kiddos that carving is so last year! So many possibilities! 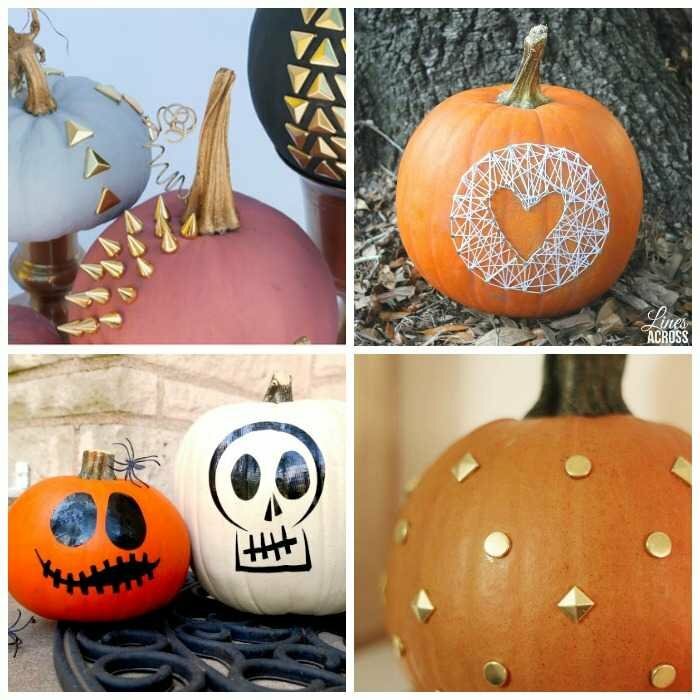 You can paint ’em, mod podge ’em, color on them with Sharpies, cover them in newspaper or tissue paper, attach studs to ’em, or glitter, or duck tape, or do some string art! 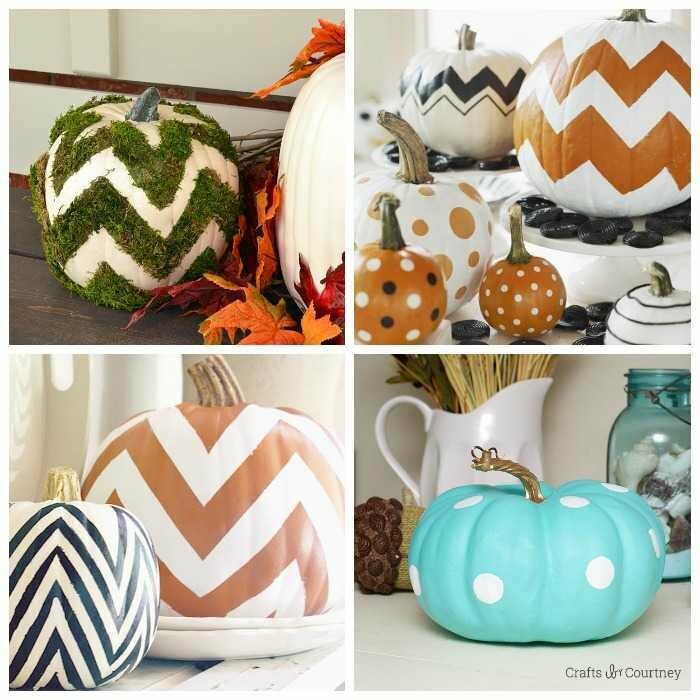 I think I just fell back in love with the idea of pumpkins! I definitely have my favorites, but go on and take a look at all of this wonderful inspiration and let me know which ones are your faves! 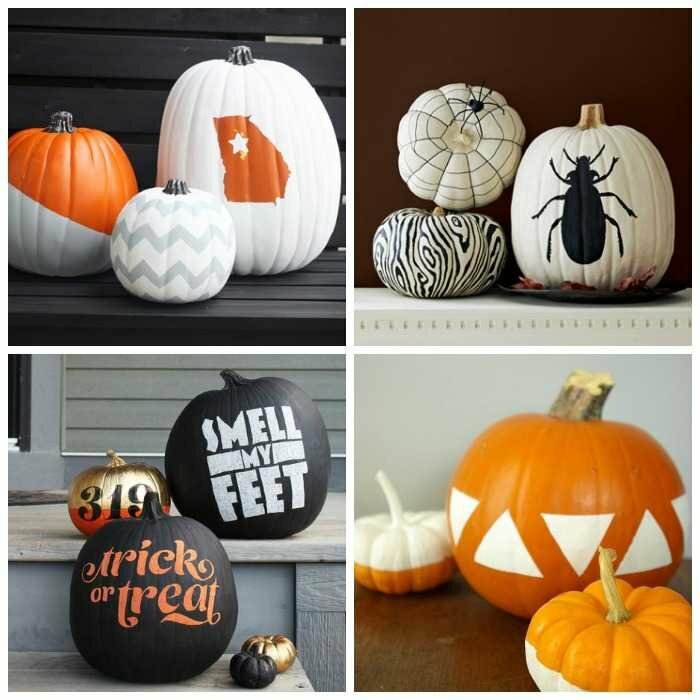 Links to the deets of each no carve pumpkin idea are below the photos. I can’t be the only one who doesn’t love carving. Which are your favorites? I’m loving the no carve pumpkins. Check out the one with stubs, sweet! Awesome collection, Corey. 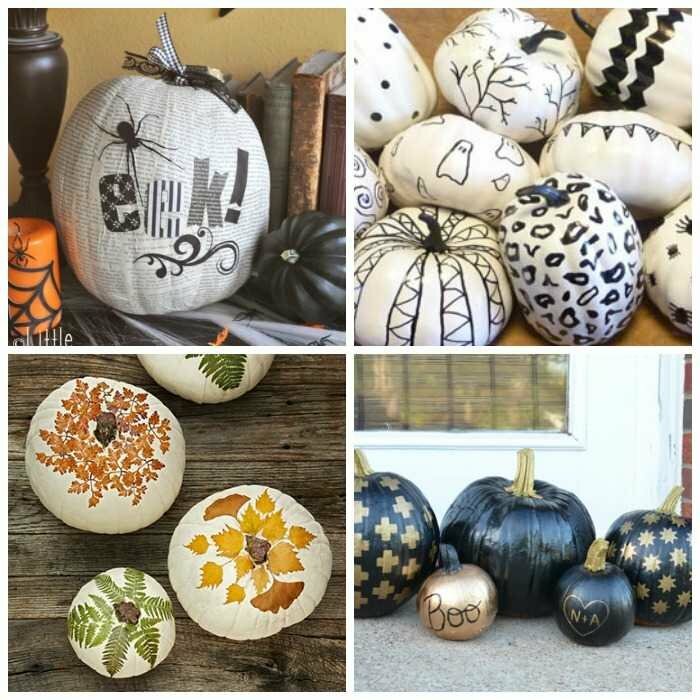 Thanks for including my black and white sharpie pumpkins!! such a good round up!! I have loved these ideas. I love thinking outside of the box for projects like this!